Comparison Study of Allelochemicals and Bispyribac-Sodium on the Germination and Growth Response of Echinochloa crus-galli L.
The phytotoxic effects of two allelochemicals (trans-cinnamic acid and syringaldehyde) at different concentrations (1000, 100, 10, and 1 µM) on seed germination, seedling growth, and physiological and biochemical changes of Echinochloa crus-galli L. were tested by comparison to a commercial herbicide ‘Nominee’ (that is, 100 g/L bispyribac-sodium). trans-Cinnamic acid and the herbicide inhibited seed germination completely at 100 µM, whereas for syringaldehyde, complete inhibition required 1000 µM. However, with 100 µM syringaldehyde, the seed germination of the test species was 53% of the control. Allelochemicals and the herbicide delayed seed germination and significantly affected the speed of germination index (S), speed of cumulative germination index (AS), and coefficient of germination rate (CRG). The roots were more affected when nutrients were not added to the growth bioassay. In general, with the increasing concentration of allelochemicals from 100 to 1000 µM, the inhibitory effects increased. Via microscopy analysis, we found leaf blade wilting and necrosis at concentrations above 100 µM in allelochemical-treated plants. Roots of E. crus-galli treated with 1000 µM allelochemicals had black points on root nodes but had no root hairs. The anatomy of roots treated with allelochemicals (1000 µM) showed contraction or reduction of root pith cells as well as fewer and larger vacuoles compared to the control. 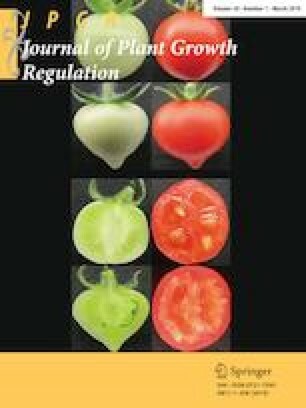 The allelochemicals also showed remarkable effects on seedling growth, SPAD index, chlorophyll content, and free proline content in a pot culture bioassay, indicating that trans-cinnamic acid and syringaldehyde are potent inhibitors of E. crus-galli growth and can be developed as herbicides for future weed management strategies. The authors are thankful to Dr. Mirza Hasanuzzaman, Department of Agronomy, Sher-e-Bangla Agricultural University, Dhaka, Bangladesh in helping during chlorophyll analysis, and manuscript preparation. The authors also acknowledge the Ministry of Education, Culture, Sports, Science and Technology (MEXT), Japan for providing scholarship to the first author.